Weird. 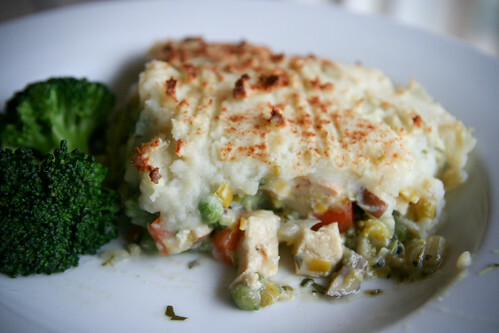 I’ve been having this mad hankering for, well, not chicken pot pie because I don’t eat chicken, but something in the same spirit: a creamy hot pot with lots of mixed veggies, encased in a savory crust. Comfort food! Last Sunday I came up with this, and it was so good that Tim and I ate the whole thing on our own in one sitting. Which wasn’t a horrible thing – unlike most pot pies, this skillet pie is actually pretty good for you. Its full of tasty veggies like broccoli, mushrooms, celery and carrots – shall not want for Vitamin A or C! For those of you seeking something akin to chicken pot pie, frozen tofu works well here. When tofu is frozen then thawed, it becomes super spongy, almost bread-like, and you can easily squeeze out all of its water, priming it to absorb all of the tasty goodness around it (like gravy!). Feel free to add or take away as your tastes allow. A bay leaf could work well here, and just about any veggie. You could also try seitan, tempeh, or beans like chickpeas in place of the tofu. And instead of mashed potato on top, why not mashed parsnip or mashed swede? Heat the olive oil in a cast iron skillet (or other oven-proof pan). Add the leek, onion, celery and carrots. Saute until soft (about 10 minutes). Add the mushroom and tofu and saute until the mushrooms are cooked. Add the flour and mix well. Slowly add the veggie stock, mixing constantly to form a thick gravy. Do the same with the soy milk. When the mixture has thickened, add the broccoli, peas, thyme and parsley. 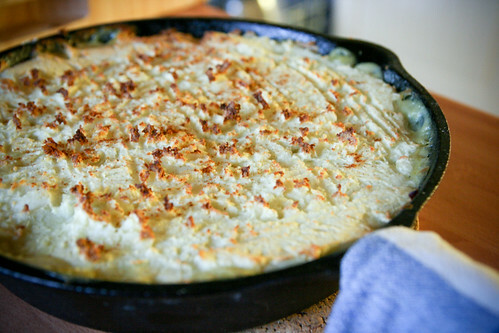 Cover the pan with mashed potato. Create criss-cross patterns with a fork and sprinkle with paprika if you like. Bake at 350 for about 30-40 minutes, until the top is crispy and browned. Serves 4. 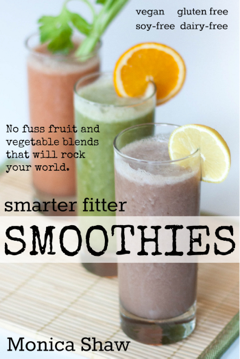 Per serving: 327 Calories; 13.6g Protein; 12.4g Total Fat; 43.3g Total Carbohydrates. Anything with a potato topping sound good to me! I’ve never had a pot pie. Beautiful! I’m a sucker for anything in a skillet!